Toyota has shown off a number of new vehicles ahead of the Chicago Autoshow, and it looks like the company is finally bringing Android Auto and CarPlay to more of its cars. The 2020 Tacoma, Tundra, Sequoia and 4Runner SUV are all getting the new infotainment standard and Amazon Alexa support. 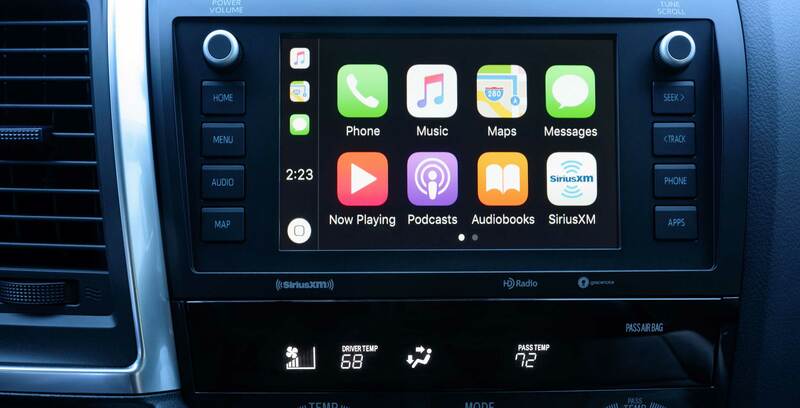 Apparently, all trim levels will feature CarPlay, Android Auto and Alexa, but the screen size will vary between seven and eight-inches depending on the trim. There’s no word yet on if the implementation will be wired or wireless, but since Toyota’s other consumer-level cars use wires, it’s expected that these will be as well. So far, the only Toyota car with Wireless CarPlay is the new Supra since it utilizes a BMW platform, according to MacRumors. MobileSyrup has reached out to Toyota for clarification regarding if the infotainment options are coming to Canada.